1. 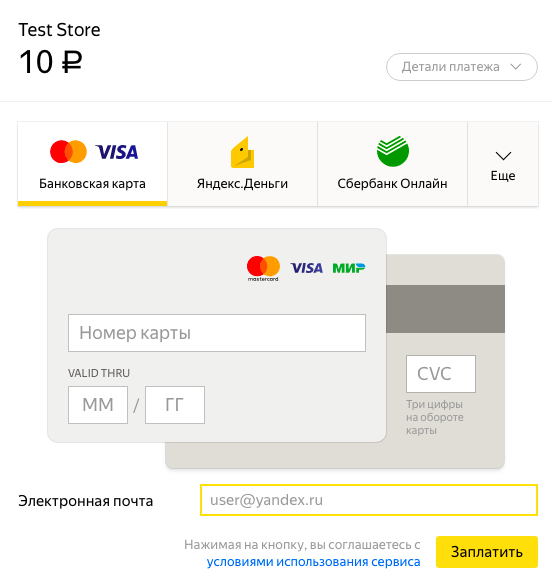 Select the Bank card payment method in the store where you are going to pay, or on the Yandex.Checkout page. 2. If we recognize you, we'll show you the card that you paid for the last time and let you select it right away. 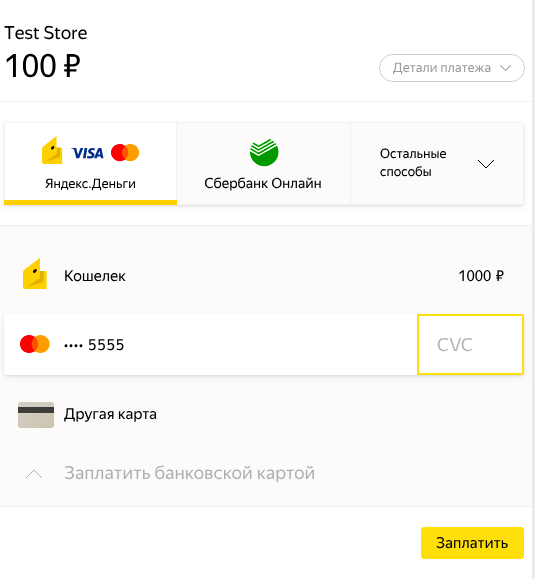 You only need CVC for payment (this is a code consisting of three or four digits on the back of the card). 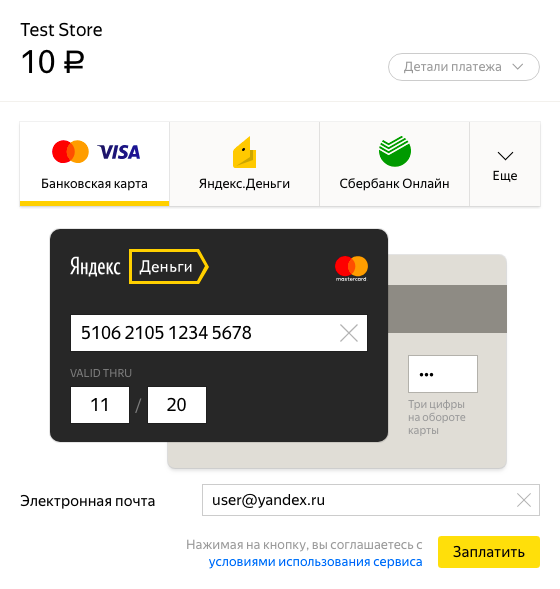 If Yandex.Checkout doesn't recognize your card, enter its details: number, expiration date and CVC, then click Pay. 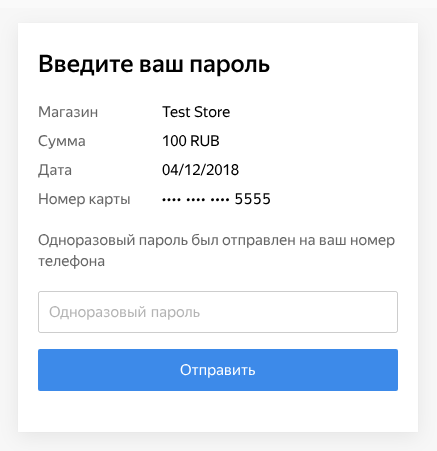 Specify your email address to get a receipt. 3. Confirm the payment if its required by the card's issuing bank.